The white tealight candles (1½"DIA.) burn for three hours, have clear plastic cups and are packaged in an acetate box. 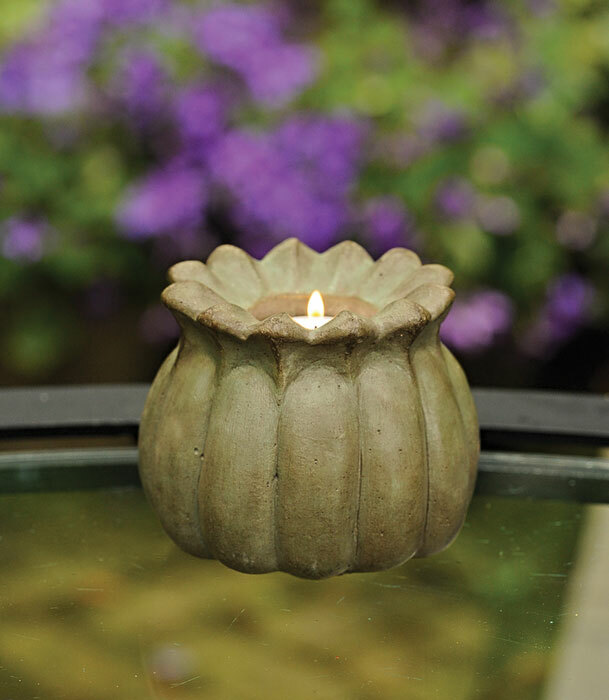 The tealight is shown in a poppy votive, which is no longer available.